I’ve worked it out. It’s not you I’m in love with. 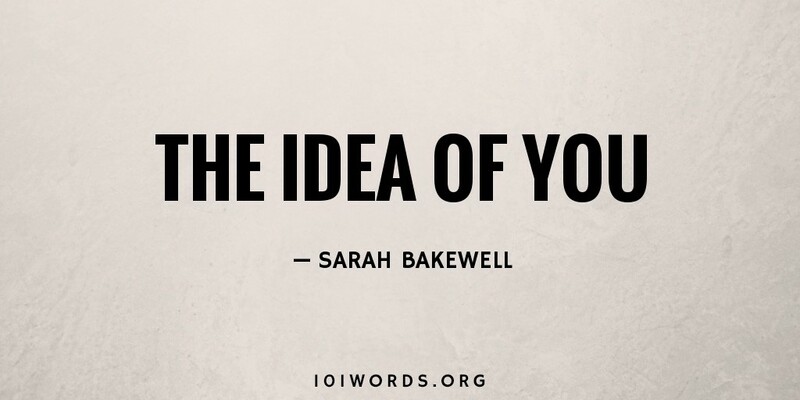 It’s the idea of you. Just like it’s only the idea of you that makes me fly and breaks my heart all at once. You’re an innocent bystander in the lie I’ve built up. The lie that I cling to so desperately. I’m sorry if I ever confuse the two of you. But I can’t stop, even if you are only an idea. I’ll try and remember for next time. I really will. You’re in front of me now. The real you. And I’m afraid I’ve confused you both again. This is why I don’t believe love exists. Love is but another idea invented and created to make us stay still. As nomads we were much better off. We loved in the moment, we ate in the moment, nothing in the future mattered. Love is non existent….it’s the idea of love that is beautiful….but every time it fades away! I liked your story because it was from the heart. Nice work. This story is so true to life. Very, very good. Lovely writing – thoughtful and concise. Nice. This is like when you try and hurry up to write down all that is coming to your mind in that moment when you’re emotionally, physically and mentally there. Thats hard. If not the hardest. I tried this once. As I carried around this notepad to write in waiting for that moment that always comes when you least expect it, like it does it on purpose. That’s what makes it hard and a mystery. But you did that here, remarkably. I remember waiting, however, so patiently just so that the world could really share my true heart-beating moment what people often try their best to hold on to as long as possible; when grabbing that pen and paper in the heat of the moment. But when in the heat of that moment, to me it seems it is like diving into a battle with words of true expression against time. This is where time got destroyed. A nice demonstration. Where in your victory, It couldn’t be any more necessary and supportive.